Since ancient times, night was seen as the most mysterious time of day. In the old days it scared people, painting the silhouettes of scary creatures. But it was the moon, partially emerging from behind the clouds to illuminate the way of the sea travellers, shots track on the quiet surface of the water. This is a truly fascinating spectacle that a man with a creative soul could not be overlooked. 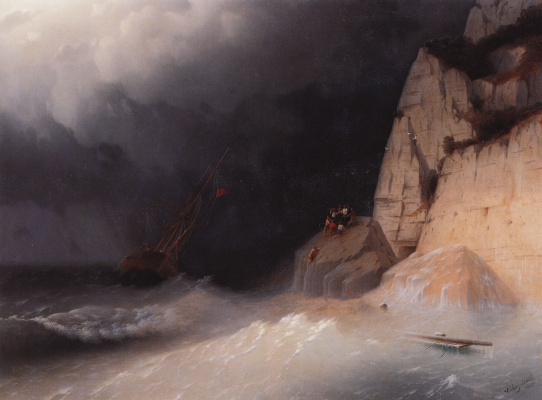 The desire to unravel this natural mystery and gave rise to Aivazovsky's painting "moonlight". 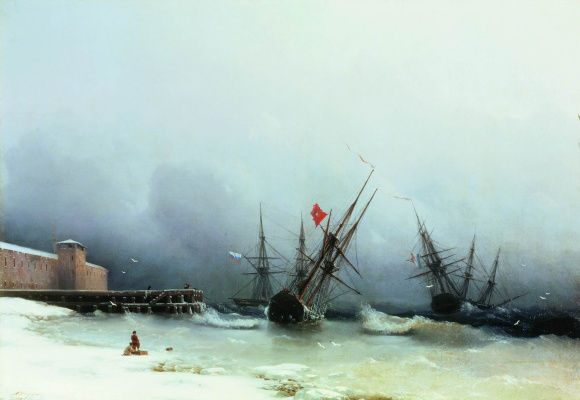 Ivan Konstantinovich whole world knows as the author of the best seascapes. The sea has always been his main love and Muse. The painter could paint it forever. Nobody has been able to display on the canvas of the sea so accurately and realistically, as did the Maestro Michelangelo. 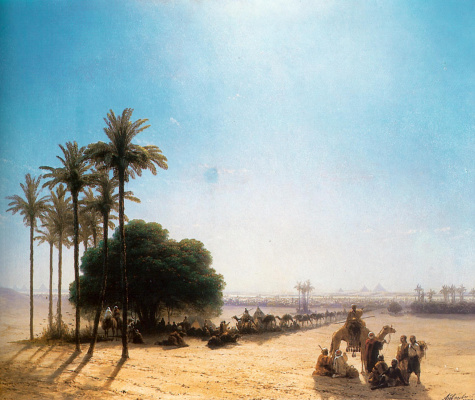 The secret to the realism of his landscapes lies in the skillful transfer of the color palette. 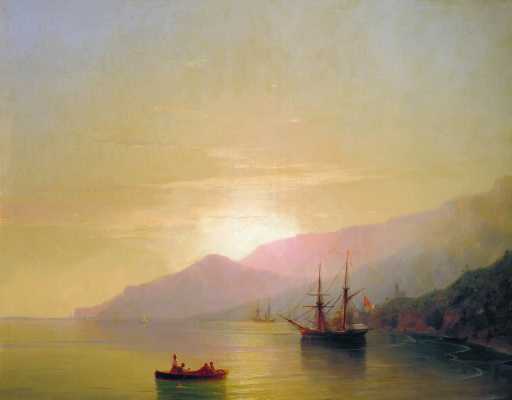 So, admiring the paintings by Aivazovsky "moonlight", the viewer as if he is on the shore of the sea, a full breast inhaling the humid and salty air. The painter has found in the night landscape is something fascinating and mysterious, so he has been able to create the most ordinary things are real masterpieces. 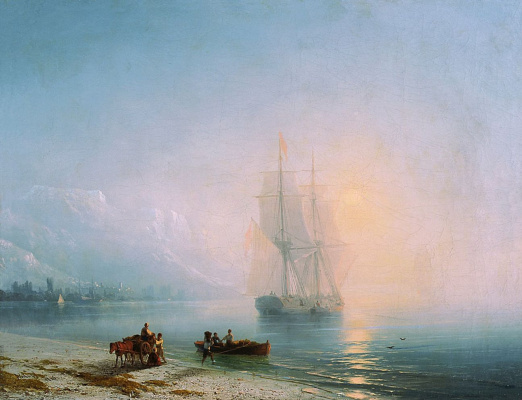 And Aivazovsky painting "moonlight" helps other people to feel the beauty of the moment. The canvas is written in the emerald and blue tones, mixed who the artist was able to recreate the poetry of the night. 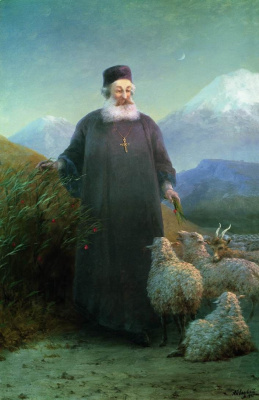 For such work the master periodically returned, but this time using a less saturated palette. 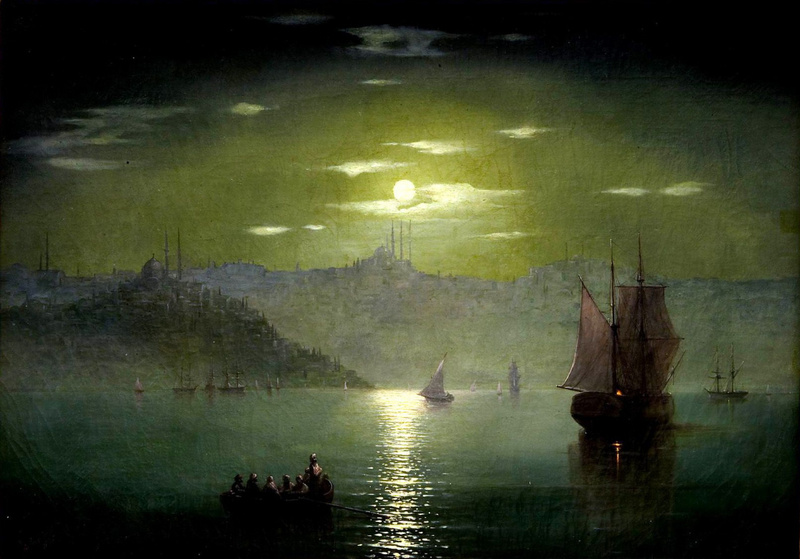 Aivazovsky painting "moonlight" recognized by critics as one of the best creations of a great artist. The first thing is impossible not to pay attention – an optical illusion that has been so carefully depicted on the canvas by the hand of genius. If you look closely, it seems as if moonlight is in motion. From whatever angle the viewer looked at the painting, optical trick sends track directly to it. But this landscape is notable for the fact that he is full of lyrical feelings. The web can be regarded as a Declaration of love to the exquisite beauty of a quiet night under the moon. The picture symbolizes the harmony of man and water. The moon here indicates the landmarks showing the way. 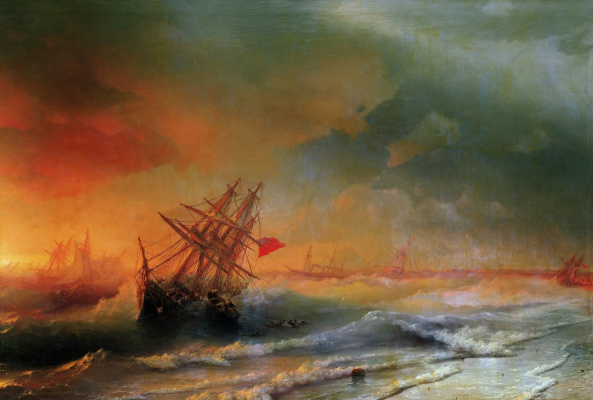 Flowing water light Aivazovsky conveyed through saturated colors. The color combination turned out to be so harmonious that absolutely do not contrast, but rather smoothly flow into each other, creating a unified whole. 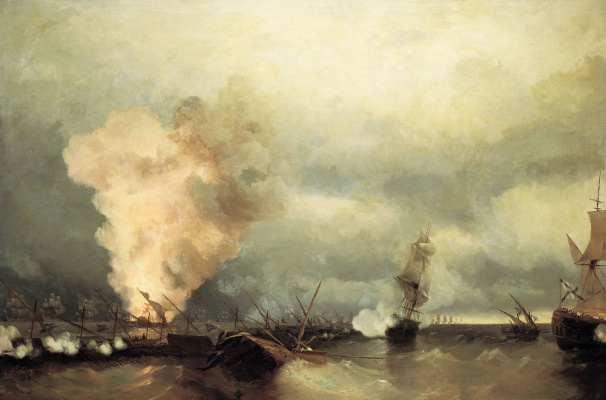 The game is saturated with light shades of calm colors allowed as realistic as possible to show what is happening. 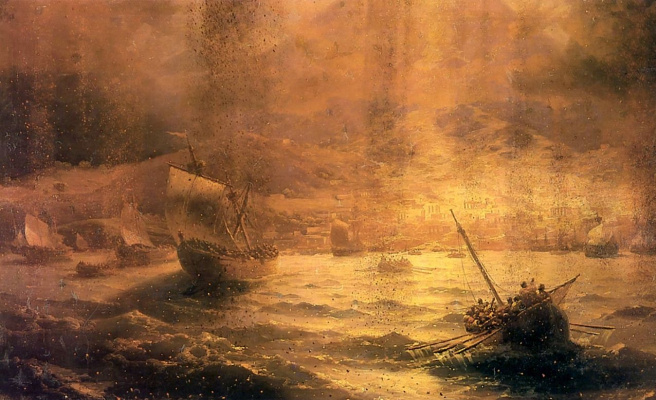 If you carefully look at the painting and even listen, you can discern in the background the noise of the waves, the splash of water against the oars. The city, rising above the background, fast asleep, and the sea does not violate universal peace. A light breeze lulls all around. 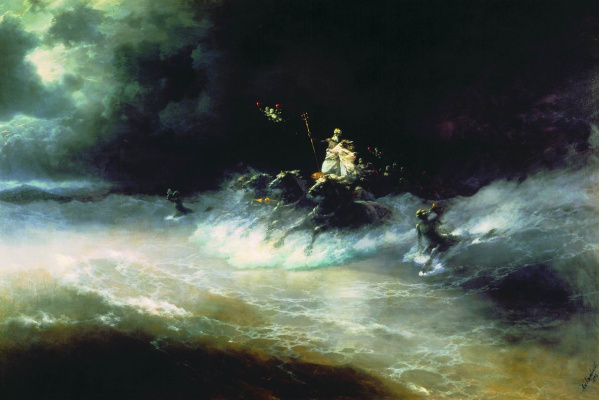 This once again proves as the most likely Aivazovsky displayed the night life. Under the light brush of genius is born a perfect creation that can fascinate, soothe and inspire.